Receive your prints in just 5-10 business days to your door-step. Take an artistic way with your beloved photos. Our multi panel canvas prints are a split style canvas that comes in Diptych, Triptych or Quadriptych. 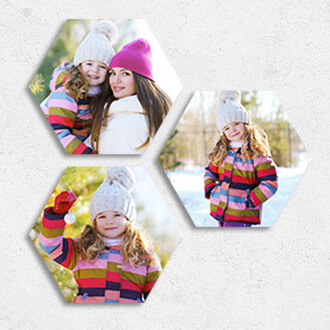 Introducing our hexagon personalized photo canvas. 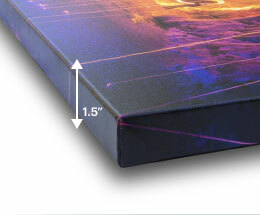 A precisely exclusive way to display your custom gallery wrapped photographic canvas prints. Order Canvas Prints Online Today! Pictures can light up a wall, giving it glamour, radiance, and beauty. 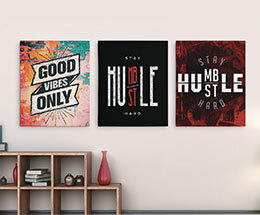 To achieve a magnificent wall, pleasing to the eye, you do not need to go out of your way to hire designers because with our affordable and cheap canvas prints, you are the designer. We help you create an eye-catching masterpiece, but without the added expenses! Our handcrafted square, rectangle, and panoramic frames speak volumes of our dedication and commitment to you. Using only the best high quality materials, we create a museum quality finish, giving you a stunning wall décor. How long will your wall be bare? Not for long, and that is our promise! We don’t take longer than 5 to 10 business days to ship canvas prints in New Zealand. Free shipping guaranteed on purchases over N$199! Our Flash-like shipping and delivery service is one of the reasons we have gained loyal and repeat customers. Do you need to talk to us? Night or day, we will be there to say hello and answer your questions regarding our canvas prints and services. Our around the clock availability is our way of showing you our promise to always be there for you. Don’t forget to read our FAQs, as we may have already answered your questions there. If not, you are welcome to call us anytime you want! We offer multiple different sizes to choose from, including square, panoramic, and rectangular. You can find the ideal depth of canvas for your wall from our three different thickness formats. 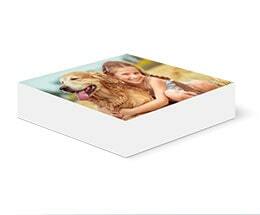 Our canvases are available as wrapped (photo wrapped around canvas edges) and unwrapped (white border on canvas). We also provide a hanging kit for a small additional cost. The purpose of canvas prints is to grab people’s attention and leave them in awe of the design, the placement, and the combination of colours. In short, it should leave them speechless. Conferences, trade shows, banks, galleries, and companies aim to fulfil that purpose and we can help them do just that through our high quality and cheap canvas prints in NZ. We have made the ordering process extremely simple and user-friendly. You can order our superior quality prints online, without having to navigate from page to page. Our uncomplicated ordering process requires you to specify your preferences and confirm your order so our team can design and deliver it to you in a few days. 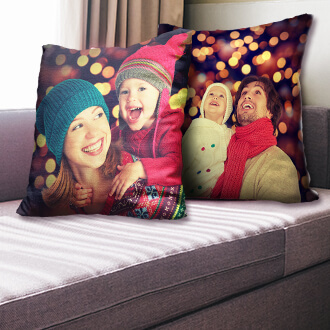 We use state-of-the-art technology to design our impeccable canvas prints. We ensure you receive the best at affordable rates. Whether you require a canvas print for an event or your home, our quality is bound to impress you and those who encounter it. If you want to stretch the canvas print on your own or display it a certain way, our rolled canvas are perfect. They come rolled in a tube and you can frame it or use it with a stretcher bar. Created on a flat panel high quality wood and you can display it on any wall. Displays a picture in three separate panels and is an ideal option for images that too large or wide. Wrapped (around edges) and unwrapped (white border) option available. 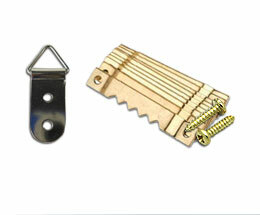 Hanging kit available separately at a small cost. 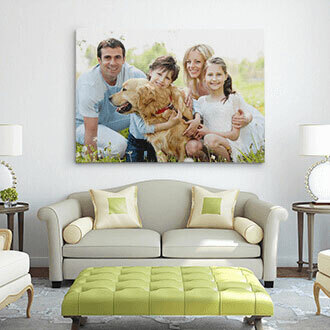 Buy Canvas Prints Online from CanvasChamp Today to Glam Your Wall Tomorrow!